Israel Box is an Israeli business founded on the idea of promoting Israeli products. In recent years, we have been exposed to the growth of movements that encourage boycotting Israel by boycotting its products. Sadly, this greatly affects small businesses, which don’t have enough power to market themselves around the world and compete with the boycott. We are bringing the counterpart to these boycotts by means of our ibox – which is a new and modern way to support Israel. The ibox is a surprise box consisting of Israeli products, all for one’s enjoyment. We feel that people from all over the world need to enjoy Israel. It is a country with great people, a great atmosphere, great vibes, and all of these are reflected in its products. Let Israel Box curate the finest of what Israel has to offer into one neatly wrapped experience for your convenience: the ibox. We believe that the best way to answer those boycotting Israel is to buy Israeli products – buy blue and white and simply get Israel in a box. The ibox contains the best Israeli products chosen out of thousands, all produced and/or designed in Israel. We test every product in advance in order to find the ultimate one. The total value (five main products) of each ibox is about twice as much as the ibox price itself. So you can buy wisely, support Israel and enjoy great, high-quality products. Our specialty ibox will let you hear, taste, see, smell and feel Israel. Step 1 – We plan on travelling all over Israel, from north to south, and search for the best products out there. 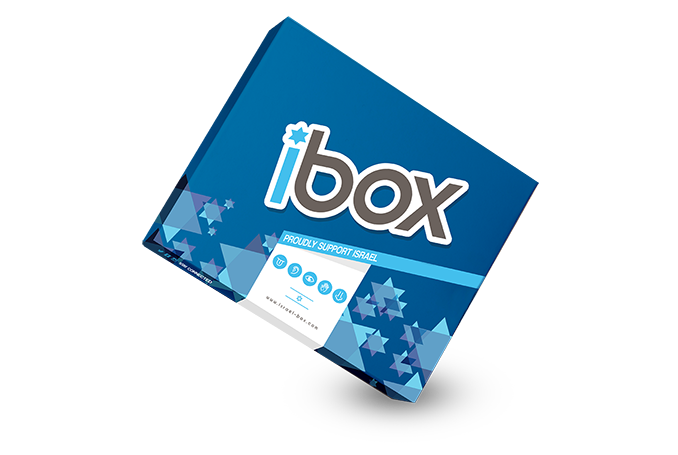 We want to give you the best experience every time you receive and open your ibox. Step 2 – Each box will be assembled separately, with unique and enjoyable products that will stimulate your senses every time. We want to keep you on the edge of your seats every time you hear the mailman coming – hoping he brings the ibox with him. Step 3 – Your ibox will be packed and shipped directly to your doorstep. Why should I back the ibox project? – Directly support Israel’s economy and help battle the boycott movements. – The value of each ibox is at least twice as much as its cost. 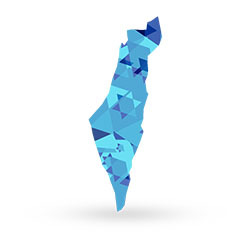 – Help us show the world what are the real Israel vibes. 31 years old, born and raised in Tel Aviv, Israel. CEO of the Balcony – Herzliya Municipality’s Young Adults Center. Omri loves his homeland and has been advocating for Israel since a very young age. He holds a B.A. in Political Science from the Interdisciplinary Center (IDC) Herzliya and an M.A. in Law from Bar-Ilan University. He is the CEO & CO-FOUNDER of the ibox. 27 years old, made Aliyah with his family in 1997. Graphic Designer and branding expert. Has been dealing with Israel Advocacy for over 5 years and voluntarily took an extremely active part in the official advocacy active room during Operation Protective Edge in 2014. 28 years old, born and raised in Yokneam, Israel. Full time geek and web developer. Holds a B.Sc. in Computer Science and Neuroscience from Bar-Ilan University. Former adjutant of the Teleprocessing (ICT) battalion of the General Staff. 29 years old, born in Tel Aviv, Israel. Raised both in Israel and Seattle, Washington. Currently works as an Events Producer and Missions Coordinator at the American Jewish Committee (AJC) in Jerusalem. Holds a B.A. in Political Science from the Interdisciplinary Center (IDC) Herzliya and an M.A. in Criminology from Bar-Ilan University. 27 years old, born and raised in Yokneam, Israel. Owner of a restaurant on the south part of the Sea of Galilee. Interacts weekly with tourists who brought up the need of a means to support Israel’s economy. We are currently shipping to the United States, Canada, Europe and Israel. Central America, South America, Asia & Australia – COMING SOON. Shipping costs are already included in the contribution amount. Make sure to provide your address (or where you would like us to send the box) in the “more information” section when you order the ibox. Can I order an ibox for a friend or family member? YES! We know of many that have been doing that. Simply provide their address in the “more information” section of the contribution. YES! All of the products inside the ibox are Kosher. When will I receive my ibox? Which products are included in the ibox? We keep you surprised with each ibox – so we can’t give it away! But we guarantee at least 5 products in each ibox which will stimulate each of your five senses (some examples of what can be inside the ibox can be seen at the “what is the ibox” part of the campaign). Feel free to let your imagination fly, we’ll be more than happy to hear your ideas. The best, the one and only: Matan Cohen Grumi. Do I get to pick and choose my products? Do you really want to? Let us do this for you. Our people invest a great deal of time and choose the right products for each ibox. Nevertheless, we are open to hear your suggestions for any product you would like to receive. How many iboxes can i get? If you choose the “YOUR BEST DECISION” level, one ibox will be shipped. If you choose “HURRY UP AND BE A FRIEND”, two iboxes will be shipped (be sure to provide the two addresses). Choose the “BECOME A SUPPORTER” level and you shall receive four boxes (delivered every three months). If you are looking to purchase more than four iboxes, please contact us at contact@israel-box.com and let’s talk! "This is a fablous idea! Can't wait for my box!" "In memory of Rabbi Noach Weinberg"
"THANK FOR STANDING AGAINST THE BDS MOVEMENT, I SUPPORT ISRAEL AND THE JEWISH PEOPLE, YOU ARE THE APPLE OF GODS EYE AND WITH THAT I WILL SUPPORT ANYTHING MY FATHERS CHILDREN IS INVOLVED IN. AS LONG AS IT IS TRUTH AND RIGHTEOUSNESS. ME AND MY HOUSEHOLD ARE "
"I love Israel and the Jewish people!" "Dear Rachel, this is your first ibox from Israel. Enjoy it. Mum"
"We are proud to support Israel in this venture." "I'm sorry it couldn't be more, this is a wonderful idea I will promote it on Facebook and Twitter you never know one day somebody might buy me one!" "I LOVE Israel!! Am Israel Chai!!" "Standing with the nation of Israel"
"Thank you for doing this. I received my 1st ibox yesterday. Looking forward to the next one." "Ko hakavod to the fighters against BDS"
"I am a social Anthropologist and Ethnographer and journalist. Sadly, 49% of the American Anthropological Association are endorsing the BDS-campaign. I for my liking feel the responsibility to stand with truth: Israel and its defensible borders. BDS must"
"Dedicated to Louis Lieberman and Julia Baum"
"For the healing of so many close to us." "In memory of my mother, Anne W. Levine"
"May God bless the Land of Israel"
"May Hashem bless Israel abundantly!" "Thanks to Hillel UW for taking me to Israel." "Yom Tov to all the Donors"
"Best of luck with the campaign!!" "We support Israel. Am Yisrael Chai." "To hell with the BDS bigots. Kol yisrael arevim zeh bazeh." "אם אין אני לי מי לי To be a Jew is to be a part of a nation : :עמ ישראל"
"G-d Bless Israel. Strong & Proud!" "I think this is a creative way to show support." "This is a wonderful idea, and I look forward to supporting you in the future!" "I surely support Israel and it's wonderful products!!!" "So excited to be a part of this wonderful campaign!" "Please Hashem, keep my family and friends safe in this dangerous time." "Great Idea to keep money flowing into Israel"
"For my mom who I will hold in my heart forever! Helen Schansinger"
"Kol Hakavod to you. I hope that everyone continues to support I-box." "Do more mitzvot; bring the moshiach!" "Yossi, I'm an old friend of your mom's and all the Millstone's and I am wishing you and your business partners great success in countering the ridiculous BDS movement!" "Greetings from BDS :) Boss Daniel Stanislav"
We are five young Israelis, looking to share with the world all the great products Israel has to offer. We want to promote small Israeli businesses and give other people from all over the world a tool to help the Israeli economy and fight the boycott movements. Appreciate our idea? Any dollar will help. Sending our abstract love to you via our warm email.